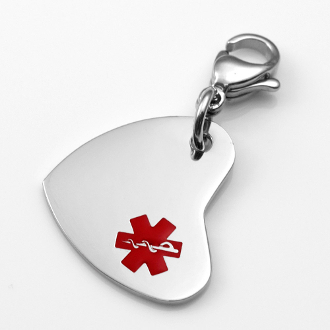 This heart-shaped, 316L stainless medical charm can be engraved and attached to your jewlery or a bracelet made from your horses hair. Create a life-saving, one-of-a-kind accessory. Charms with lobster clasps are easily interchangeable.